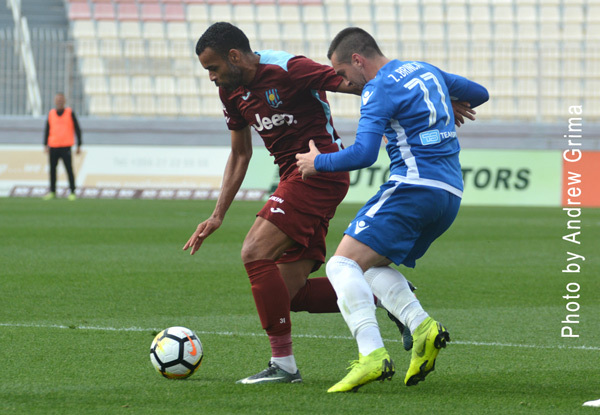 HNK Šibenik scored three in the second half to secure a place in the second qualifying round of the UEFA Europa League where they will be meeting Anorthosis Famagusta of Cyprus. The visitors went all out in search of an early goal knowing that by scoring, even a draw would have been enough to secure a place in the next round following the goalless draw in the first leg. The Blues managed to keep their opponents at bay for just over an hour but after going one goal down, it was all over for Mark Marlow’s side. 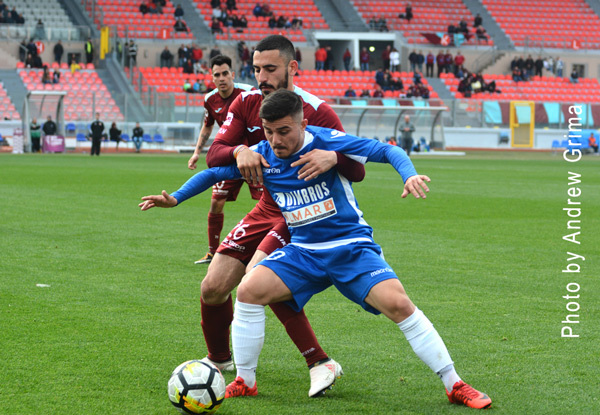 The Wanderers had one change from the team which held Sibenik in the first leg as Clayton Failla replaced Portuguese midfielder Andre Portulez. The first attempt at goal occurred on the 12th minute when Stipe Bacelic-Grgic tested Viktor Szentpeteri. One minute later, a shot by Ivan Fustar from the edge of the area hit the foot of the post and off the rebound, Antonio Jakolis’ effort was neutralised by Szentpeteri. The Wanderers replied with a Clayton Failla powerful drive ending high on 16 minutes. A rising shot by Bacelic-Grgic was turned into a corner by Sliema’s Hungarian goalie on the 18th. Another Failla effort was deflected into a corner by Goran Blazevic. Stipe Bacelic-Grgic went close once again with a diagonal shot from the right ending just wide on 22 minutes. A minute later, a low shot by Bloudek was held by Szentpeteri. Then in a swift counter-attack for Sliema on 24 minutes, Jean Pierre Mifsud Triganza had a low shot from the left saved by the Croatian goalkeeper. On 31 minutes, Sandro Bloudek tried his luck with a long-distance shot which was neutralised by Szentpeteri. Three minutes later, following a good move between MIfsud Triganza and Lattes, the latter served Clayton Failla whose fine shot from outside the area was followed by a fine save by Goran Blazevic. 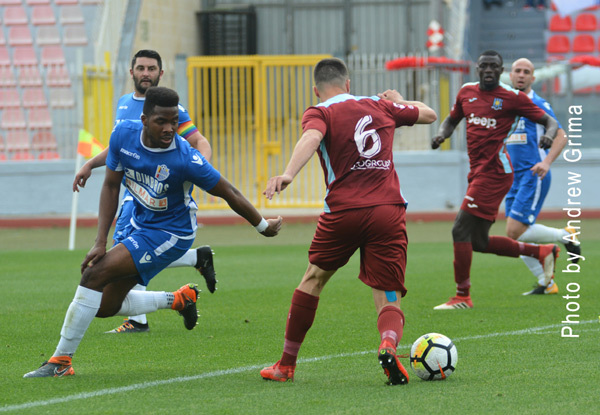 Following a short time-out for the players to refresh themselves from the sweltering heat, six minutes from half-time, Jakolis served Bacelic-Grgic whose shot was turned into a corner by the Sliema custodian. Another shot by Failla was turned into a corner by Blazevic on 42 minutes. From the resulting corner by Failla, Ian Azzopardi headed wide. The second half opened with a low shot from outside the area by Mehmed Alispahic on 53 minutes. A long-distance freekick by Failla from the right was parried by Blazevic a minute later but Šibenik went close once again with a shot by Bloudek which narrowly missed the target. A shot by Stipe Bacelic-Grgic on 55 minutes ended wide. Another freekick by Failla from the right went off-target. Sliema goalkeeper Viktor Szentpeteri performed another great save on an Ivan Fustar rising shot on 64 minutes. 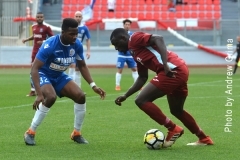 However Šibenik were not to be denied a few seconds later when off a Mehmed Alispahic corner from the right, Ivan Medvid headed the ball home to put the visitors ahead. 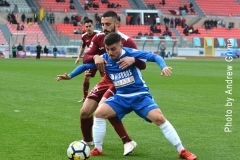 The Blues’ reaction consisted of a great rising shot by John Mintoff ending just over the bar and a conclusion by Ivan Woods which just missed the target. 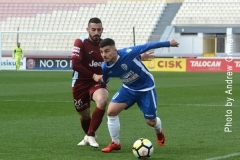 Šibenik doubled the score on 73 minutes when Alispahic sent Antonio Jakoliš through and the latter hit low past Szentpeteri. To add further misery on the Blues, Ian Azzopardi was given marching orders by referee Alan Black five minutes later. One minute from time, the visitors scored the third goal in rather strange circumstances. 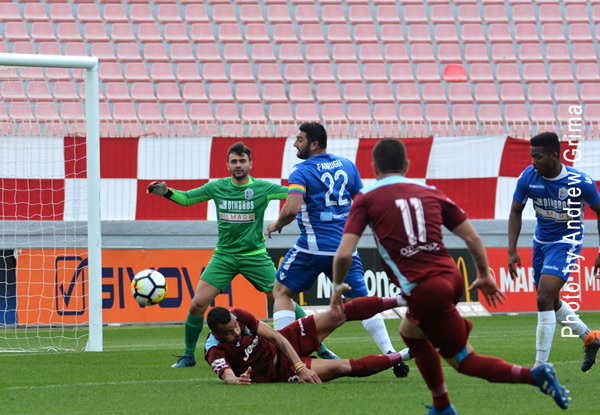 With a player lying on the ground injured, Ante Bulat seemed to clear the ball from midfield but with goalkeeper Szentpeteri out of place, the ball ended at the back of the net. 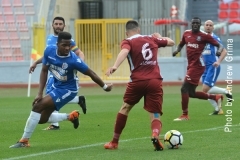 SLIEMA Viktor Szentpeteri, Ian Azzopardi, Beppe Muscat, Sekou Tidiane Souare, Mark Scerri, Jean Pierre Mifsud Triganza (89′ Amadeo Mercieca), Emiliano Lattes (79’ Andre Cabete Portulez), Clifford Gatt Baldacchino, Ivan Woods, John Mintoff, Clayton Failla. Subs not used: Ini Etim Aktpan, Noel Turner, Miguel Ciantar, Klinsmann Grech, Alex Muscat. SIBENIK Goran Blazevic, Tarik Ceri?, Mladen Jurcevic, Mehmed Alishpahic, Zeni Husmani, Stipe Bacelic-Grgic (84′ Ivan Elez), Antonio Jakoliš (87′ Alen Subic), Ivan Medvid, Ivan Fustar, Ante Bulat, Sandro Bloudek (81’ Ivan Bakovic). Subs not used: Hrvose Slavica, Luka Gusic, Anto Radeljic, Marko Jordan.